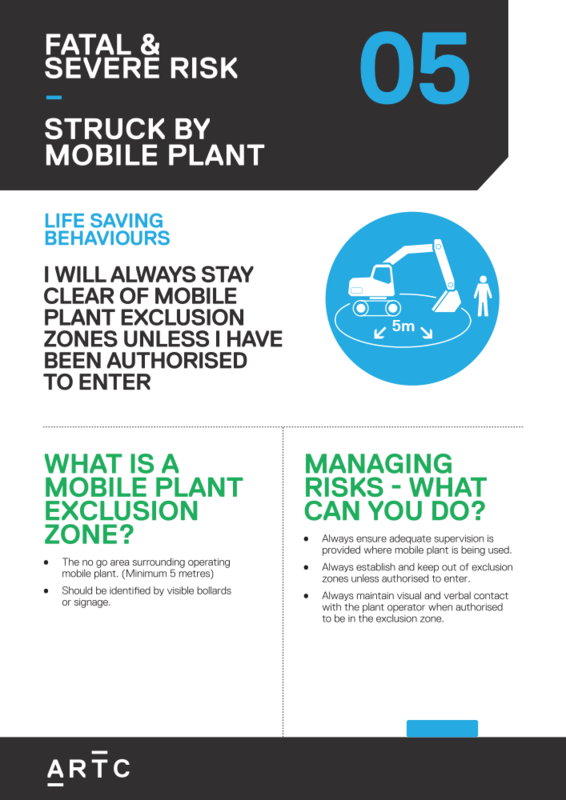 Life Saving Behaviour: I will always stay clear of mobile plant exclusion zones unless i have been authorised to enter. Poster – to use in places such as offices and PC’s to prompt workers and remind them of the fatal and severe risks, as well as the life saving behaviours. Icon – JPEG file that can be used as required. Booklet – Learn and teach others.